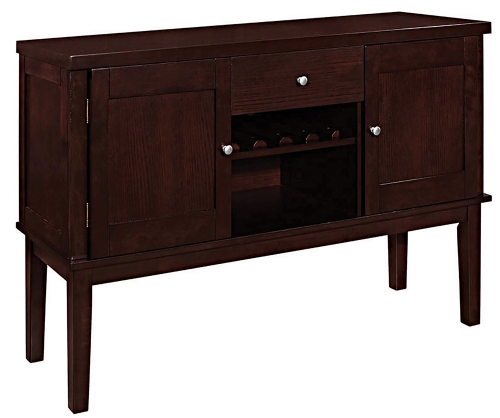 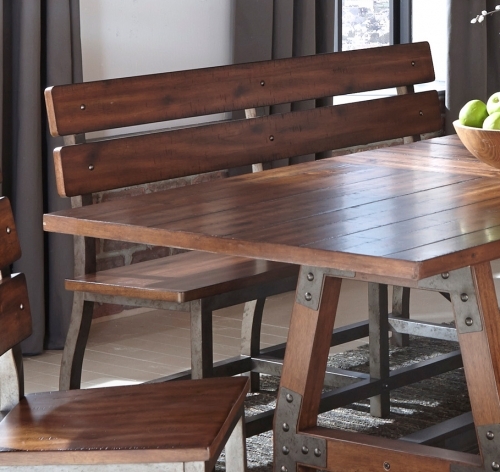 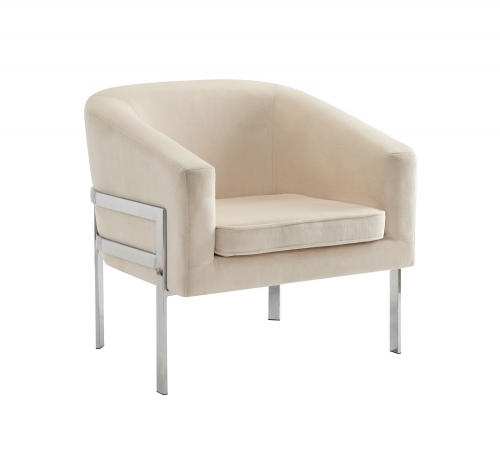 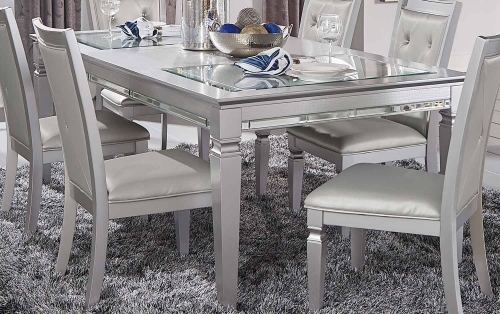 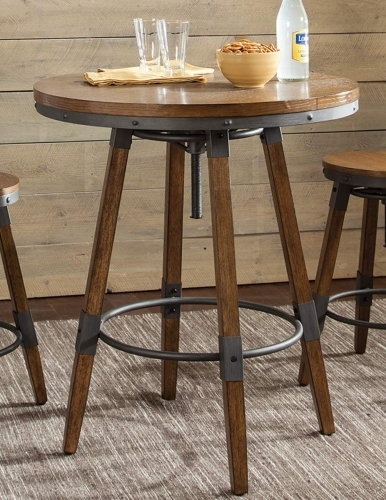 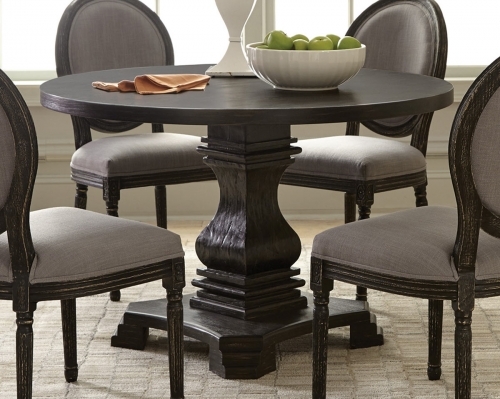 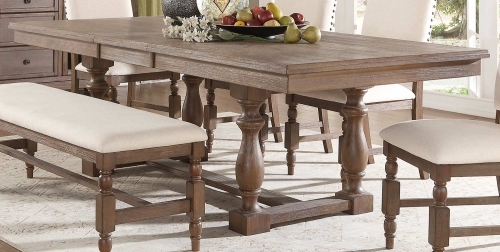 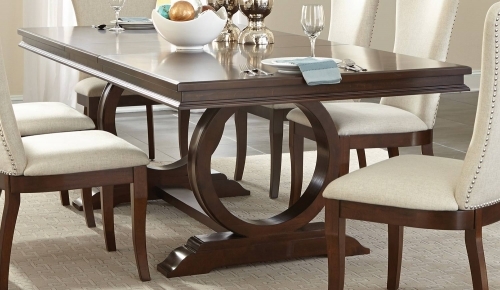 Perfectly scaled for a cozy dining area is the Norman Collection by Homelegance. 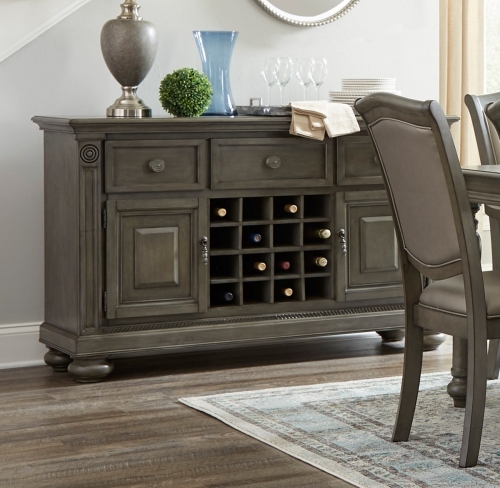 The counter height table features double display shelves, providing ample storage and display space . 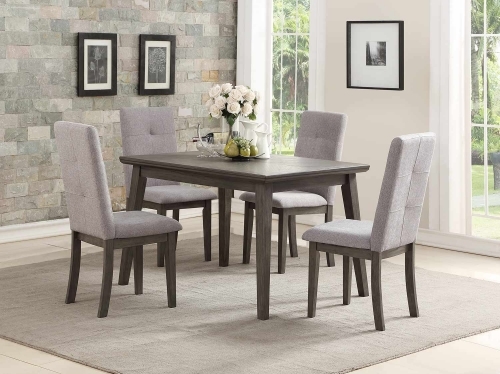 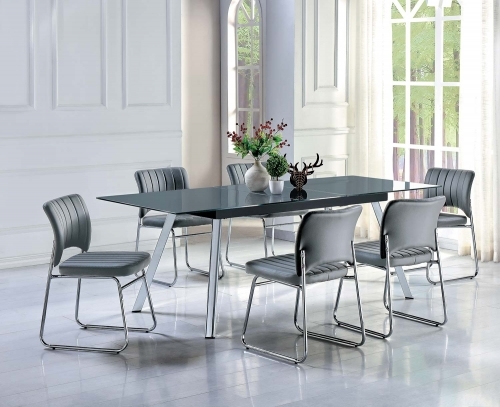 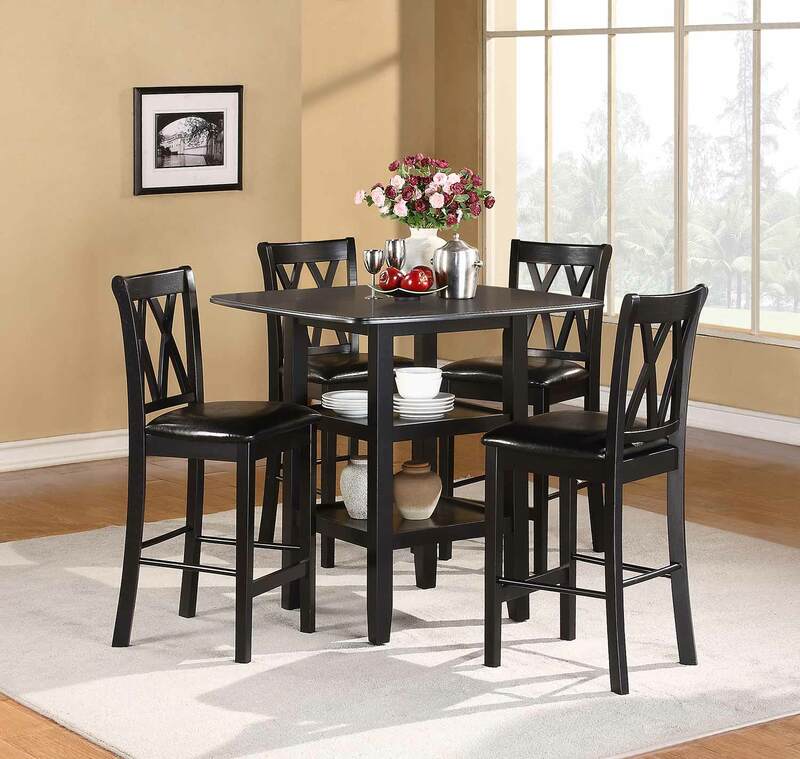 Each chair, in this five-piece dining offering, has a double X-back design that lends a transitional feel. 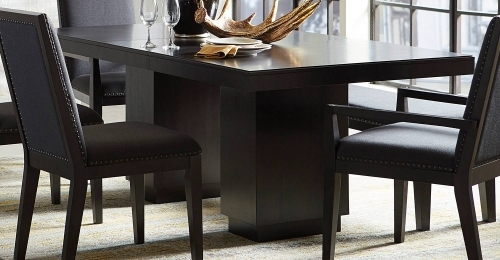 The black finish compliments the casual feel of this offering.